class=" thb_video" id="thb_video_1" frameborder="0" webkitallowfullscreen="" mozallowfullscreen="" allowfullscreen="" width="16" height="9" src="//www.youtube.com/embed/ZkESJEgYAjg?wmode=transparent&enablejsapi=1&modestbranding=1&showinfo=0&rel=0&controls=2&iv_load_policy=3&theme=light&color=white&autohide=1&playsinline=1&autoplay=1" data-ratio="16/9" data-fixed_height="" data-fixed_width="" data-type="youtube"
Seattle Led the Country's Minimum Wage Revolution. Can It Do the Same With Rent Control? 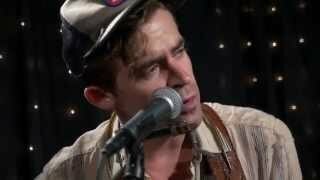 Portland based psych-folk singer-songwriter Jackson Boone delivers a fantastic performance from his cosmic new record “Natural Changes” live from the KEXP studio on Audioasis with DJ Sharlese. Recorded 06/15/2015 – 4 songs: Dolphin Turned Into A Cat, Moonbeam, Runaway, Open.